this morning would i went onto pinterest, i saw these & died. for those of you who are unaware, i'm really into skulls. i don't know why, or how this interest even started, but it did. 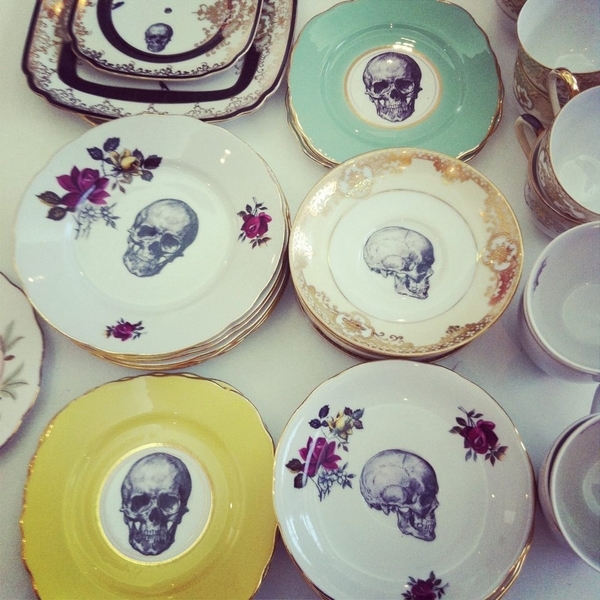 i obviously spent a good portion of the day searching for these plates, or at least similar ones. & i found a few different variations. i would be the happiest girl if it was some of these plates.